Home » Blog » We have been in business for 40 years! At Tri-County Hearth & Patio, we are excited to be celebrating 40 years of providing fine hearth and patio products to southern Maryland! We are a family-owned and operated shop that prides itself on selling fine products, and we are backed by excellent service and unparalleled expertise. We have a showroom full of wonderful products, and some of the products you will come across are below. We carry a wide selection of hearth appliances, whether you are rehabbing an existing hearth or installing a new hearth appliance. We have fireplaces, fireplace inserts and heating stoves in all fuel types, including wood burning, pellet, gas and electric, along with gas logs. You’ll also find a great deal of expertise when you choose a new hearth appliance at Tri-County Hearth & Patio, we are proud to be members of the Hearth, Patio & Barbecue Association. In addition to offering hearth appliance, you can also find all of the fireplaces accessories to enhance the beauty and function of your hearth. We carry a wide selection of fireplace tools, hearth boards, mantels, fireplace screens and spark arrestors, wood holders, ash buckets and fireplace doors. If you’re serious about grilling, then Tri-County Hearth & Patio is the place to find your next dream grill. We carry charcoal, gas and pellet grills from the nation’s leading grill manufacturer’s including Big Green Egg, Primo Grills, Blaze Grills, Napoleon Grills, Louisiana Grills and Englander. We can help you choose the perfect grill for your outdoor needs, and we can outfit your patio to accommodate your new grill. Whether you’re looking for a portable grilling or a full-scale outdoor kitchen with a built-in grill, we have exactly what you need. We also offer all of the grilling accessories you need to enhance your grill too. This includes Big Green Egg accessories, cooking tools, grill racks, pans, spices and sauces, and charcoal and wood chips. At Tri-County Hearth & Patio, we can heat your outdoor living space and indoor space. We carry a lineup of firepits including gas-fueled firepits and firepit tables, to elegance, ambiance light and heat to your deck or patio. 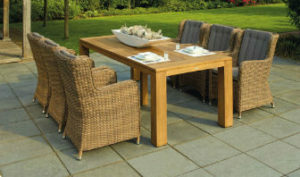 You won’t find a larger selection of outdoor furniture in southern Maryland than us. We have dining tables of all sizes, couches and seating areas, hammocks and more. We also have outdoor décor and accessories to help you make your outdoor living space beautiful, welcoming, functional and comfortable. At Tri-County Hearth & Patio, we are excited to serve southern Maryland. If you’re looking to enhance your hearth or patio space, stop by our showroom and talk to our hearth and patio experts today!